Gun lovers and enthusiasts will love this dummy barrel pistol on their desk, walls or on their book shelves! It is a well-detailed pistol statue that is made from cold cast Bronze, and looks very much like the real one. Great as a home decor or accent for personal offices, work desks, and man caves. 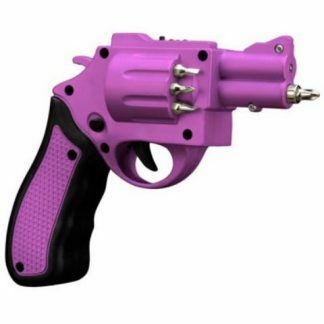 Surprise a friend on a special day with this dummy pistol as a gift! Most gun lovers and enthusiasts would love to decorate their homes, personal work spaces, man cave, or bedroom with stuff that can reflect their interests. That would involve guns, of course! 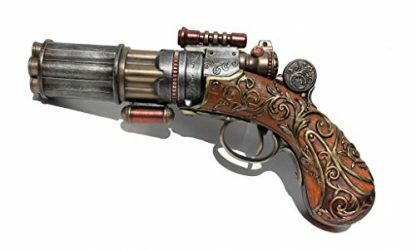 That’s why this steampunk-designed dummy pistol could be a great gift for any special occasions. Be it during their birthday, the Holidays, or when you get invited to a house warming celebration to their new space. This gift is certainly a perfect addition to their wall, desk, or shelves! 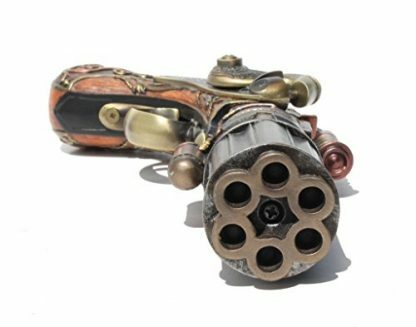 Help your uncle, brother or father decorate their bedroom and personal work space with this decorative dummy pistol! It is safe for use, and it screams attitude and adds a little personality to any room and desk! 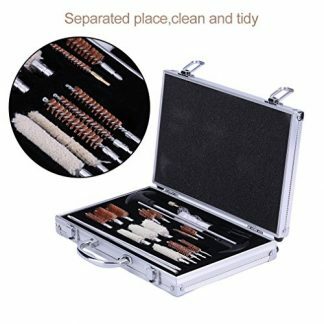 It is also suitable for any occasion. Whether you need to give it during their birthday, or on Father’s Day and Christmas Holidays! Made from Cold Cast Bronze – gives the appearance and weight of solid metal. If you are interested what steampunk is all about. It is a sub-genre of science fiction and fantasy that incorporates an industrial and tech aesthetic to their designs. The aesthetic is inspired by 19th-century steam-powered machinery. It is also associated with the cyberpunk genre, which is sometimes mixed with British Victorian aesthetic and the American Wild West. Some refer to steampunk as Neo-Victorian. 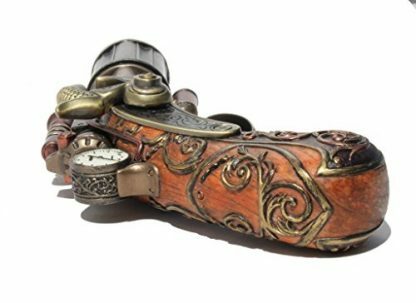 Steampunk’s most recognizable features anachronistic technologies or retro-futuristic inventions that are rooted in the era’s perspective on fashion, culture, architectural style, and art. Such technology may include fictional machines like those found in the works of H. G. Wells and Jules Verne. 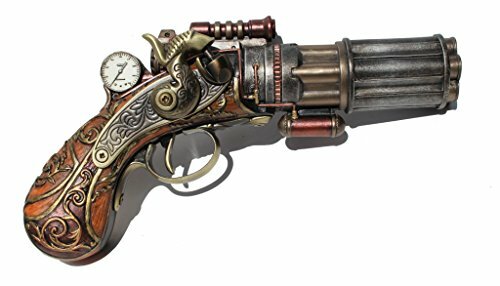 This is also a great gift idea for people who love the steampunk or cyberpunk aesthetic. It can go well with a themed room, or if their cabinets and shelves are decorated with a steampunk design.